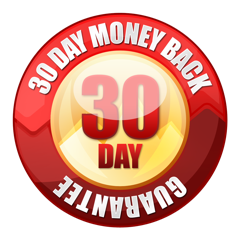 Buy with confidence 30 days of guaranteed satisfaction or the return of your money! BEFORE SENDING THE PRODUCT BACK, IT IS IMPORTANT THAT you must contact us by email at: rfrolon@gmail.com. with your reasons to return the product, for that way we can understand your reason to return the product and see what we can do to solve your problem. Probably the reason is some situation in the installation process or that has been installed incorrectly, that may be the reason for your problem that why we prefer talk with you first. If after contacting us and providing continuous technical support with your return decision, we will process it through the same payment mechanism you used as at the time of your purchase. For us, the most important thing is the satisfaction of our customers. However, if you cannot receive the expected results, return the product with all its parts and in good condition to our offices, once we have received everything complete and in good condition, your request for refund of the price paid for the product will be processed. The shipping costs are not reimbursed and the shipping to the manufacturer will be on your own. 1 Year Limited Warranty in the manufacture of the product. Celestine Flute Rexonator, Celestine Ring (s) and all Rhino Ligature models are warranted against manufacturing defects for up to one year from the date of purchase. O-rings and silicone tubes are not covered by the warranty. The warranty applies only in normal use for which the parts were designed. Damage caused by bumps and falls is not covered by the warranty and is a cause for annihilation. Dropping any of the models of the Celestine Rexonator flute, the Celestine rings or any of the models of the Rhino Ligature on a surface, the brass can receive permanent damage and cause the piece not to seal properly in the case of resonators and in the same way can affect the performance of the Rhino ligature. Any damage of this type voids the warranty. It may be possible to restore the damage at an additional cost depending on the type of damage. If you have more questions, do not hesitate to contact us, we are always available to help you with pleasure.